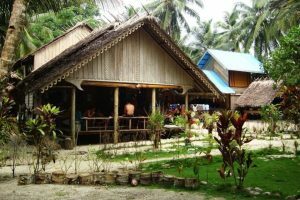 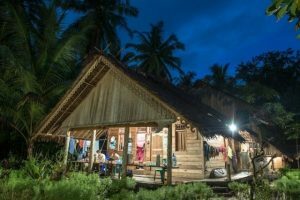 Bintang Mentawai surf camp is located on Nyang Nyang Island, a little island south Siberut Island, part of the so called worldwide known Playgrounds surfing zone. 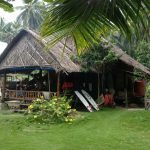 The Bintang Mentawai surf camp is a low standard budget friendly surf camp which suits perfectly groups of friends. 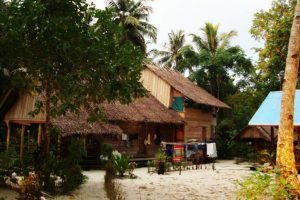 Enjoy a large garden offering a stunning view on Siberut Island across the turquoise channel, large enough for a beach volley pitch, this garden allows you as well to keep an eye on E-bay, one of the most perfect Mentawai wave (a fast and powerful hollow left hander), only 5minutes paddling. 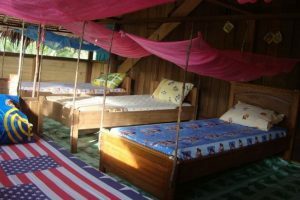 This budget Mentawai surf camp features several different sizes speedboats, several double bunk beds dorms, two private double bed bungalows in the back yard and an open lounge restaurant that guarantees friendliness moments with the other guests & the funny surf camp crew. 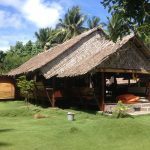 Recipes will keep you well fed; many cold Bintang Beers are waiting for you in the Fridge! 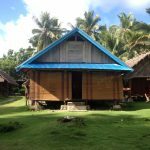 Your Mentawai surf trip will turn to be entertaining!